For several decades scientists excavate ancient settlement Altyn-depe that situated some kilometers away from Tedjen city. Altyn-depe translates like “gold hill”, because there was found a lot of gold jewelry. 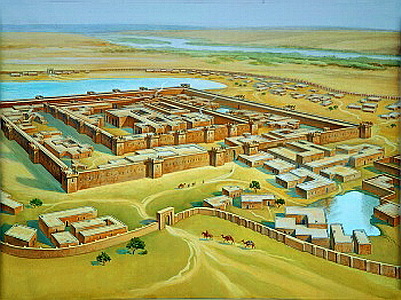 The city prospered during the Bronze Age, more than 4-6 thousand years ago. Nowadays there’re formless clay hills on the large territory of ancient settlement. But all the hills together form a single system of architectural symbols and patterns. That’s why settlement often call as Turkmen Stonehenge. Scientists can’t tell the name of the country and what language its people spoke. But excavations revealed that settlement was well fortified: there were heavy defensive walls with towers. The main material for constructions was adobe bricks that used for house buildings. There were a lot of blocks inside the city and only representatives of specific profession can live there. For example there was craftsmen block, ceramists block and so on. Ordinary people lived in large apartment house very closely. Each house has utility, living rooms, kitchens and small patios. Rich people lived in the western part of the city and their buildings differed greatly. There were large rectangular houses and each family lived in their own house. The territory of the city was more than 46 hectare. That’s why scientists considered that there had to be temple. Some years was spent to find the temple. Near it was the whole complex with centre of the tower with 4 stages. Its height was 12 meters and there was altar on the top of it. Priests used the complex for observation of stars and planets. By received data priests determined the timing of irrigation and supervised agricultural work. 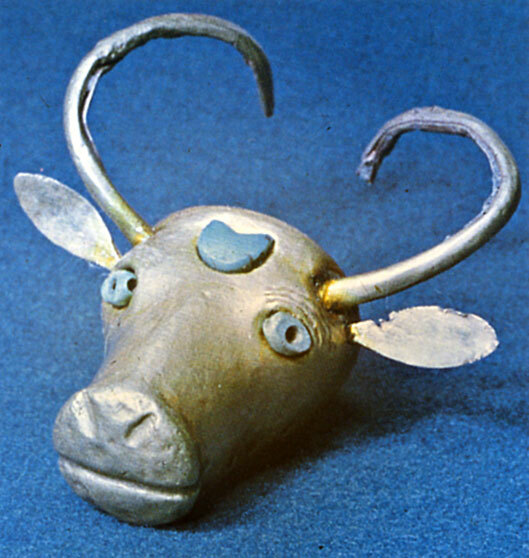 The complex was devoted to the god of the moon as during the excavation was found golden bull's head with silver horns and moon in the forehead made from turquoise.